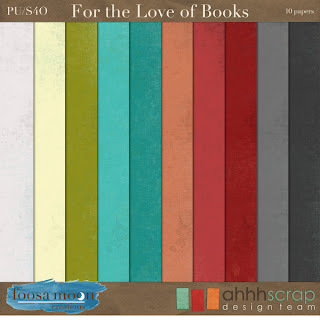 Foosa Moon Creations: For the Love of Books! I am so horrible when it comes to remembering dates far in advance. 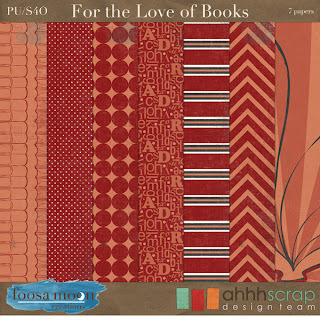 So it was with a chuckle that I realized I released the first half of For the Love of Books the day before Dr. Seuss's birthday. I wish I could say I had planned that, but no, it was purely coincidence. We celebrated Dr. Seuss's birthday at my house by going out to buy a new copy of one of my favorite Seuss books: Fox in Socks. I know we used to have a copy of it when my daughter was little and we subscribed to a book of the month type club, but it's either packed in a box in the basement, or it is long gone. We also picked up Oh the Thinks You Can Think. I love Dr Seuss rhymes, both for their silliness, and the way they teach fun with language. I credit Dr. Seuss (and my husband's sense of humor) for teaching our daughter how to pay with words, and shout out "That's alliteration!" after hearing "push play" at a friend's birthday party at the age of 4. I am back today (after my coffee and Peeps kick, rounded out with yogurt and granola) with the second half of the collection: red papers, solid papers, hardware/software, and tags. I have had a lot of fun playing with this kit, even after it was completed. I put together this second page to show off some of the red papers and the frame set that was released last week. And my friend Jennifer put this page together for me also. Jennifer used to live down the street from me, but has since moved away. It is fun to see her kids when they were younger, and in front of a tree I know so well!